The company MemBrain s.r.o. has a strategic and long-term interest in actively supporting students, postgraduates and university graduates and involving them in resolving its own programme and project activities. We also support cooperation of foreign students through our foreign contacts within involvement into the programmes of scientific cadre mobility. 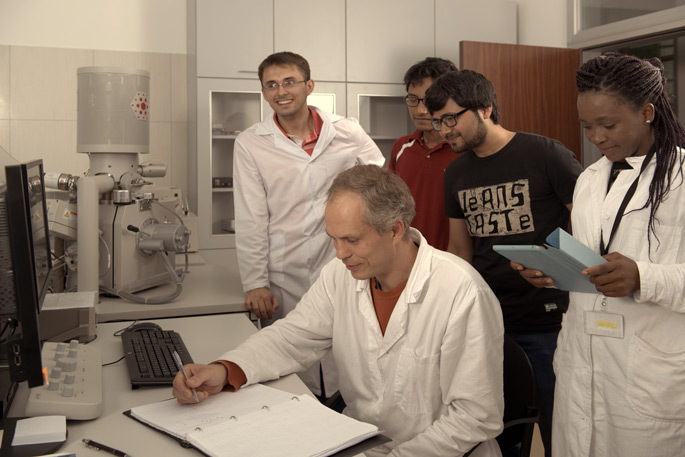 We have a specific position prepared for young scientists, so-called “post-doc.” If you are a student or graduate of a technically specialized discipline of membrane engineering or scientific disciplines at a faculty of chemical technology, natural science or mechanical engineering and think about your future professional career, try starting with us. We offer the possibility of an excursion, temporary job or student practical training. Under supervision of experienced experts in the area of membrane processes, you will be able to discover this promising field, as well as individual innovative, production and technological processes and company culture, gathering valuable experience for your future professional career. We also offer cooperation in your study activities by means of convenient topics for theses and dissertations, their expert supervision and material support. The best theses will be also awarded financially. Practical training, excursions and temporary jobs are organized in cooperation with study departments and secretariats of partner universities or directly with leaders of individual institutions, departments and faculties. The support for theses and dissertations is organized directly with your teacher or supervisor of your student projects. Do you want to learn more about us? Contact us, we will gladly provide further information.